Kids You Can Make a Snow Globe! 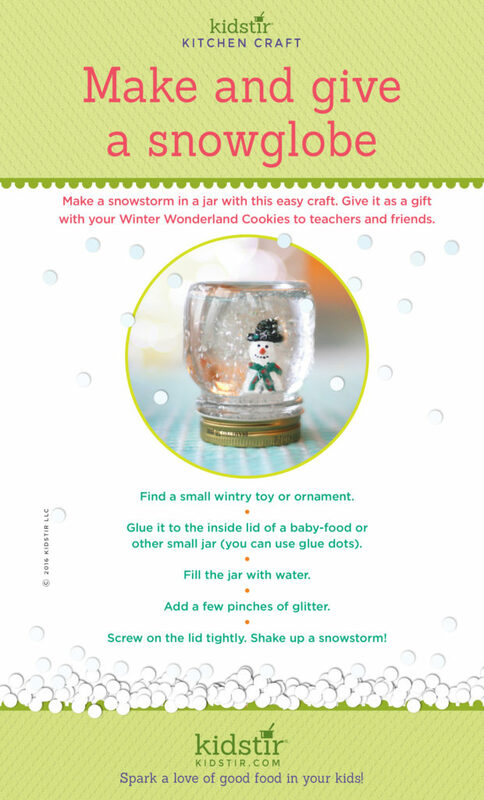 Make a snowstorm in a jar with this easy craft. Give one as a gift with your Winter Wonderland Cookies to teachers and friends. Make a winter scene with a snowman or small plastic pine trees. Find a small wintry toy or ornament. Glue it to the inside lid of a baby-food or other small jar (you can use glue dots). Add a few pinches of glitter. Make certain not to get things too close to the edges or the lid won’t close tightly enough for a good seal – we want to be sure they don’t leak. If you want your snow glitter to settle more slowly and longer lasting snowstorms, add a little glycerin. Be sure everything you put in the tiny winter scene is water-proof so things don’t fall apart in there. 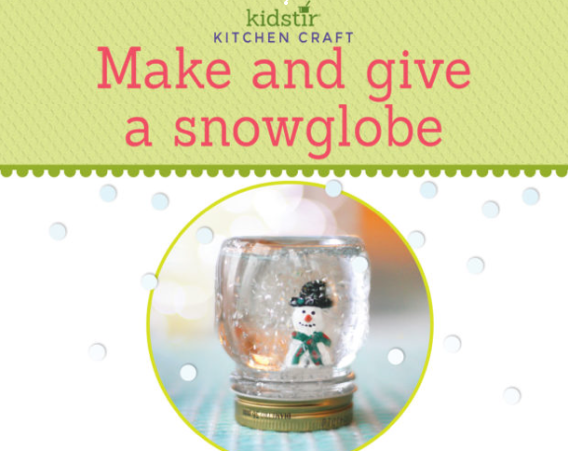 We’d love to offer Kids a How-To Make a Snow Globe Infographic for you to share on your blog. Just select and copy the code snippet below and paste into your next blog post. We’d love for everyone to share this page on social media or email using the buttons below so all the kids you know can have fun learning about making a snow globe to give as a fun DIY gift!